Razo has never been anything but ordinary. He’s not very fast or tall or strong, so when he’s invited to join an elite mission escorting the ambassador into Tira, Bayern’s great enemy, he’s sure it’s only out of pity. But as Razo finds potential allies among the Tiran, including the beautiful Lady Dasha, he realizes it may be up to him to stop a murderer and get the Bayern army safely home again. 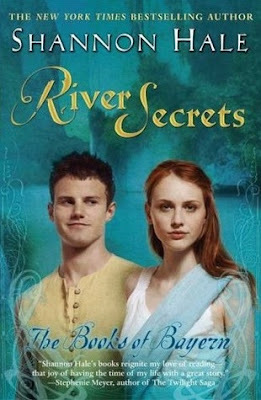 You are bidding on an author signed paperback of River Secrets by Shannon Hale. 100% of the proceeds form this auction will go to Japan relief efforts. Bid by commenting below with the amount you are willing to contribute. Auction ends April 18, 2011. Today’s Mom’s Monday book choice is a series by Utah author Shannon Hale. I first picked up The Goose Girl about a year ago at our local library and haven’t put down her writing ever since. The Books Of Bayern take us through the journey of peasant to princess and into the forest where the commoners of the kingdom live. They are full of fairy tale themes and laughs a plenty. 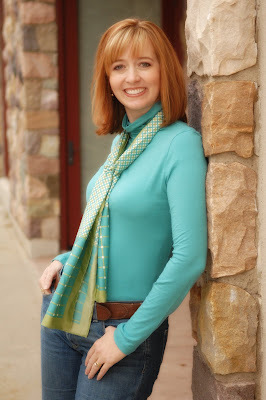 Shannon Hale has a gift for spinning stories and has become one of my very favorite authors. ” Shannon’s mother says she was a storyteller from birth, jabbering endlessly in nonsensical baby-talk. Once she could speak, she made up stories and bribed younger siblings to perform them in mini-plays until, thankfully, an elementary school teacher introduced her to the wonder of written fiction. At age 10, she began to write books, mostly fantasy stories where she was the heroine. She continued to write secretly for years while pursuing acting in television, stage, and improv comedy. After detours studying in Mexico, the UK, and a year and a half as a volunteer missionary in Paraguay, Shannon earned a bachelor’s degree in English from the University of Utah. She was finally forced out of the writers’ closet when she received her Masters in Creative Writing from the University of Montana. Razo–short, funny and not a great soldier–is sure it’s out of pity that his captain asks him to join an elite mission–escorting the ambassador into Tira, Bayern’s great enemy. But when the Bayern arrive in the strange southern country, it’s Razo who discovers the first dead body. He’s the only Bayern able to befriend both the high and low born, people who can provide information about the ever-increasing murders. And he’s the one who must embrace his own talents in order to get the Bayern soldiers home again, alive. Newbery–Honor winner Shannon Hale returns the reader to the intrigue and magic of Bayern, introduced in her critically acclaimed novels, The Goose Girl and Enna Burning. 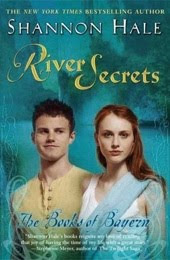 In River Secrets, readers revisit a world where even those with no special magical skills find in themselves something they never imagined.